In Bela krajina, tourists, too can fish. 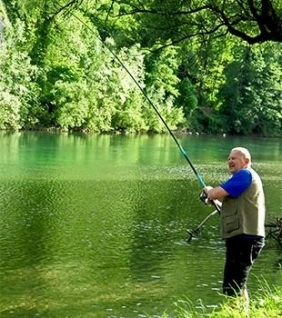 Lahinja and Kolpa rivers as well as some lakes are conveniently adapted and rich with fish. You can try your luck in catching trout, salmon, nase, chub, pike, carp, catfish and other species. If you wish to buy a fishing permit, contact the fishing family in Črnomelj or Metlika. From the Malerič Apartments you can head to Lahinja, to the Fishing Home or to Mlaka in Kanižarica by feet. Smuk is a 546 metres high plateau above the town of Semič. To the south and southeast it sweeps through the forests into the arms of Semiška Mountain and to the town of Semič. On the road Dolenjske Toplice–Črnomelj there is a sign directing you to the road leading to Smuk. It will take you through vineyards and typical vineyard cottages (called "zidanice”). On the left side, there is a hill (570 m) and on the right side a view on the valley opens up. 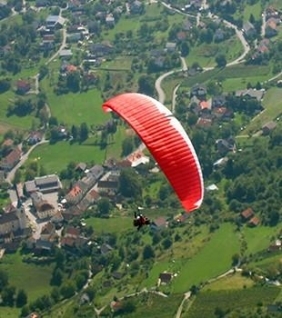 On Smuk, there is the launch point for hang-gliders and paragliders which attracts lovers of these sports from all across Slovenia. There is also a hunting lodge where you can quench your thirst. There are plenty of marked cycling paths in Bela krajina. 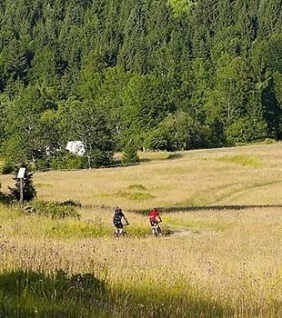 Due to the natural variability of the terrain, they are suitable for families as well as for more experienced cyclists. You can decide to take an easier path through central Bela krajina, medium paths on the hills where locals grow vines or a more difficult path to the Mirna Mountain, Smuk or in the direction of Stari trg ob Kolpi. 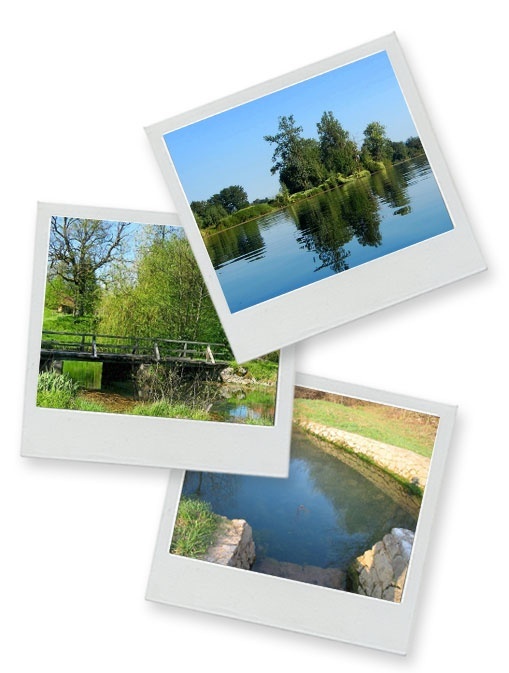 All along the paths you will find natural and historical attractions, easy to find thanks to information panels. Have a rest at vantage points and resting houses with many restaurants where they will be more than happy to offer you refreshment. With the Bela krajina cycling route map your choice will be even easier. You can find it at the reception. 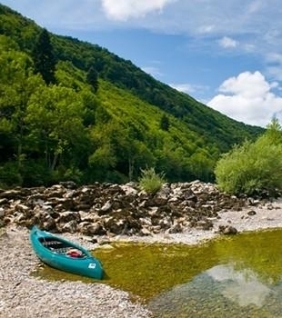 Kolpa river is one of the cleanest and warmest rivers in Slovenia. Visitors can swim in it or just lie relaxed on the river quay but there are also various possibilities for recreational sports such as kayak and canoe, rafting and even fishing. The picturesque river is full of life in its waters and on the riverside and it will show you a different view of Bela krajina. There is a possibility to rent canoes, rafts, kayaks with all the associated equipment to secure you for a safe and peaceful single- or multiple-day journey. You are invited to discover the natural and cultural heritage by feet. There are 18 marked hiking routes in Bela krajina inviting you to spend your free time as actively as possible. Close to Malerič Apartments you will find the "Župančič Route” connecting Dragatuš and Vinica that is dedicated to one of the most important Slovenian poets and writers Oton Župančič. Not far away, there is another route called the "Mining Path” connecting the museum with the former mines Kanižarica and Butoar. If you wish for a picturesque walk by the Kolpa river, opt for the "Trška Path” or "The Southernmost Slovenian Path”. You can decide to mount the Mirna Mountain at 1047 meters above sea level. Just beneath the peak you will find the mountain lodge which is accessible by car as well. All the routes are marked and described in the Bela krajina route map which you can find at the reception. Bela krajina is known for its exceptional cultural diversity shaped by hundreds of years of mixing various nations and cultures. In Bela krajina, you can find three different religions and autochthon members of five ethnical groups. The diversity can be found in the language, cuisine, traditional costumes, folklore and architecture. Visit old towns of Črnomelj, Metlika and Semič. The Bela krajina Museum in Metlika features a presentation of the history of Bela krajina, from prehistoric times to after WW2. The Traditional House of Serbian population in southern Bela krajina, Šokčev dvor in Žuniči or three pilgrimage churches surrounded by walls (Tri fare) are very interesting as well. 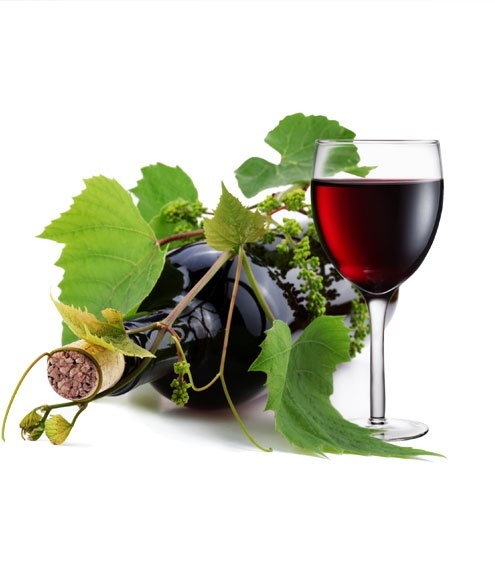 In the area of Bela Krajina, in connection with national tourist routes, there is the Bela krajina wine route, which consists of three wine-growing regions – Črnomelj, Metlika and Semič. By prior arrangement, you can visit wineries, wine producers, tourist farms, beekeepers and others. Besides the most popular wine sorts from Bela krajina, most of all "Belokranjec” (Recognized Traditional Denomination) and "Metliška črnina” (Recognized Traditional Denomination), visitors can try typical type of bread called "belokranjska pogača”. We advise you to try excellent late harvest wines and selections. You can opt for a journey on wine-growing hills by car or by bus as well. 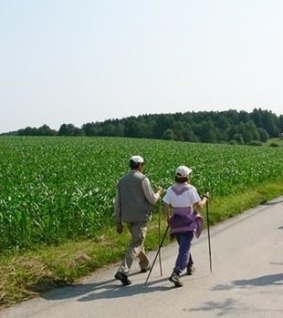 But those who like to do some physical activity and love nature can visit the region by bike or by feet. The cuisine in Bela krajina is very diverse. Treat yourself with "belokranjska pogača” or with roast lamb. Try the traditional Easter food "belokranjski nadev” and "ajdova povitica”. Along with delicious food it is nice to drink a glass of good wine. You can choose among white and red wines of premium quality, above all "Metliška črnina” and "Belokranjec”. Gourmets can try sweet predicate wines. On tourist farms they will serve you with home-made apple juice. Kolpa National Park lies by the border river Kolpa betwen Stari trg and Dragoša in the municipality of Črnomelj. Throughout the park, the Kolpa river changes its character several times. There are other important natural attractions and because of their exceptional natural importance some of them are protected as natural monuments and natural reserves. Another very important element of the Park is the typical landscape of the area, full of ferns, sinkholes and forests. Local people knew how to cultivate the land with hard work and they preserved their habits until today. Cultural heritage is of great importance as well, above all "dvori” – typical homesteads surrounded by walls. They are made of a dwelling house, a barn, stables and a courtyard in the middle. 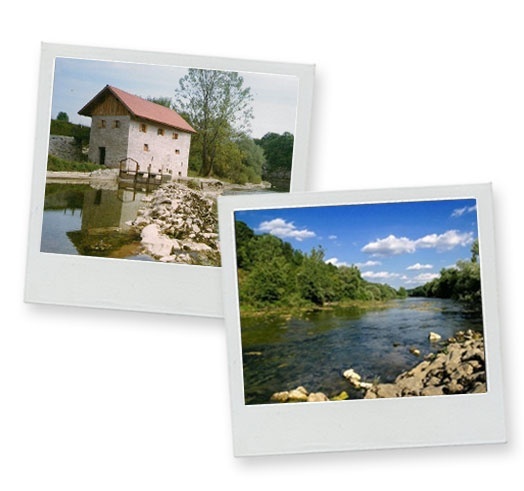 Discover castles, numerous mills and sawmills along the river Kolpa. The Lahinja Park lies by the first seven kilometres from the spring of Lahinja river and its surroundings, southeast from Dragatuš in the area of the villages Veliki Nerajec and Pusti Gradec. There are six protected natural monuments by the river, two natural reserves and five cultural monuments. Archaeological sites Okljuk and Draga not far from Pusti Gradec are among the most important Neolithic and Copper Age settlements in Slovenia. Many items such as tools, ladles, little pots, hatchets and mounds were found in the area testifying about the life of people in these distant times. Do not forget the "Klepec” mill and sawmill, the Church of All Saints, the castle, several karstic caves and cliffs, and groves, protected as natural reserves because of the presence of rare and endangered flora and fauna.